Millennials and Cryptocurrency Survey: Why Everyone Is Surprised? From spending too much money on avocados instead of saving to buy a house, to not having a right work ethic and decorating everything in pink unicorns. Millennials – the blessing and the curse of the modern-day society. There aren’t many aspects of our lives left that haven’t been yet analysed regarding millennials’ impact. But millennials might also be responsible for keeping Bitcoin and cryptocurrency market alive. The recent study by the venture capital firm – Blockchain Capital – found that about 30 percent of those in the 18-to-34 age range would rather own $1,000 worth of Bitcoin than $1,000 of government bonds or stocks. While millennials and cryptocurrency seem like an obvious connection, the news was welcomed with a surprise. Because surely, if there’s a dominant demographic group that would be interested in investing in cryptocurrency, it would be millennials. So why is the industry shocked? This survey was conducted online within the United States by Harris Poll on behalf of Blockchain Capital from October 18-20, 2017 among 2,112 U.S. adults ages 18 and older, among whom 387 are millennials (ages 18-34). The survey is not based on a probability sample, and therefore no estimate of theoretical sampling error can be calculated. Bitcoin awareness is significantly higher among younger demographics – 30% of American are somewhat familiar with Bitcoin, but amongst that 42% of millennials knew about Bitcoin. Only 2% of the respondents own or owned Bitcoin at some point, indicating cryptocurrency is still at its early stages. The Bitcoin adoption stage is higher among millennials, though, with 4% claiming they owned Bitcoin. The figure changes, however, when asked about the intentions of investing in Bitcoin in the future. Nearly one-in-five Americans (19%) indicate it’s likely they’ll buy Bitcoin in the next five years, comparing to 32% millennials who have the same intentions. The survey was also split between female and male millennials, with the latter group indicating a more active involvement in the cryptocurrency market or having more advanced knowledge in this area. Millennials, particularly men, would instead turn to Bitcoin as a replacement for traditional assets – 30% of millennials would rather own $1,000 worth of Bitcoin than $1,000 worth of government bonds or stocks. Interestingly, the trend also continues for the real estate market with 22% millennials rather owning $1,000 worth of Bitcoin than $1,000 worth of real estate. Participants were also given a choice between Bitcoin and traditional banks, and 27% of millennials cited Bitcoin as being more trustworthy than banks. Over half millennials (52%) agreed that Bitcoin is a positive innovation in financial technology. Why Do Millennials Prefer Cryptocurrency Investment? For those who are not familiar with the term millennials yet – it’s a demographic group of people at the age of 18-34 (also known as Generation Y). Meaning, it’s also the most educated and information-reach generation that has ever existed. 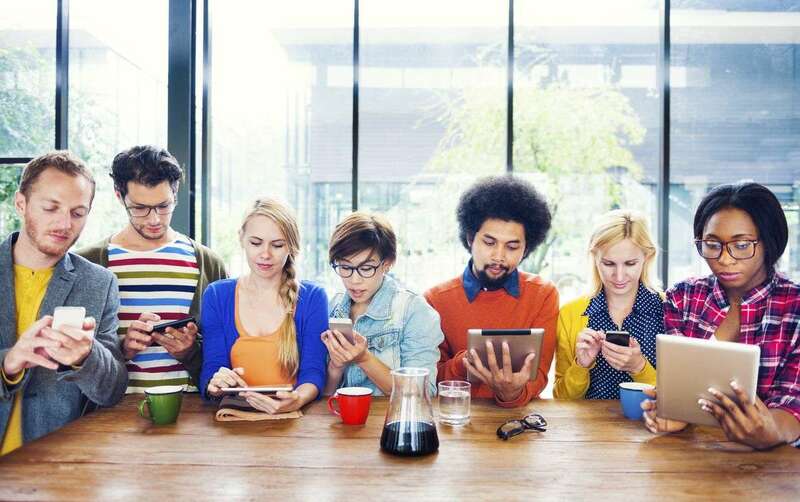 Millennials are not only well-educated, but they’re also the first digital natives – instinctively knowing how to use emerging technologies and being continuously connected to the internet. 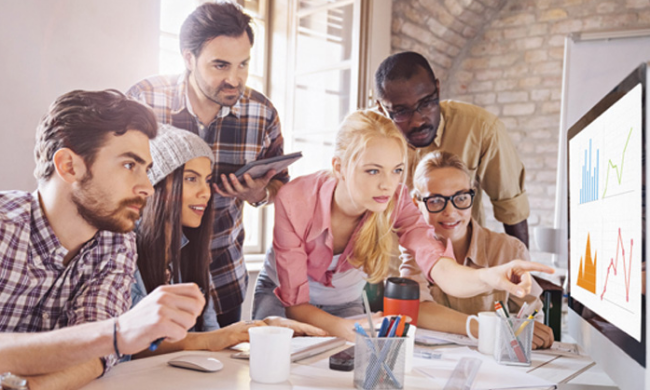 There is, however, one significant difference between millennials and the older generations – available income. Generation Y suffers from high unemployment, skill saturation on the market and the lack of financial stability. Unlike their parents, millennials struggle with getting on the property ladder and it takes them much longer to save a sufficient amount of money. The Great Recession had a massive impact on millennials’ financial (and professional) situation, causing high-levels of unemployment among young people. Since the financial crisis is the dominant force in the millennial economic turmoil, it seems natural that their level of trust for the traditional banking system is not high. Digital currencies might be volatile and risky, but the reward is much higher than from investing in a safer option of stocks or trading on the forex market. Millennials have witnessed and remembered what happened to the stock market in 2008 at the very beginning of the financial crisis – so why would they be concerned about the possibility of losing an entire crypto investment when precisely the same (or even worse) can happen with fiat currency? According to MarketWatch, over 82% of millennials claim the economic crisis influences their investment decisions – at that time, many people lost not only their jobs but also their wealth. So if you’re in the millennial bracket age and still want to make a profit from the investment, cryptocurrency seems like a perfect opportunity. Undoubtedly, the survey is an accurate reflection of both the changing attitude towards the financial markets but also the generational gap that may result in not understanding the technology behind cryptocurrency. Well… There’s also another angle at which we can look. Every generation brings a breath of fresh air, and millennials are not any different. Why would they keep on repeating the mistakes of older generations that haven’t benefited from investing in stocks and property? In the cryptocurrency-craze, there’s one thing commentators seem to forget – it’s not just about Bitcoin. It’s the technological advancement that comes with every coin. Almost every coin is used as a payment method within the currency’s network, e.g. IOTA is designed for IoT or Ripple for faster international bank transfers. There’s a multitude of examples that could be brought here. Of course, the financial profits are essential, but many millennials invest in cryptocurrency not based on its price, but because they believe in the technology behind it. In fact, cryptocurrency experts always advice that when choosing cryptocurrency to invest, one should focus on its utility rather than the price. So Why Is Everyone Surprised? The survey was one the first that analysed a large sample of the American population about Bitcoin and Distributed Ledger Technology. Until now, there was no substantial data that would confirm everyone’s suspicions about the most prominent demographic group that is interested in Bitcoin. The survey was limited though to asking questions only related to Bitcoin, which is not the most popular currency to invest nowadays. Especially if assessing the technology behind a coin. The findings suggest that as Bitcoin adoption grows and millennials consider purchasing decisions, financial institutions may be wise to offer these assets and services to attract and retain millennial customers. The millennials and cryptocurrency survey has indicated that the Generation Y has much more believe in digital currencies rather than central banks. For more information, visit Cryptocurrency Market Predictions For 2018.